In 2018, we proudly unveiled a new, modern brand identity to capture the energy and opportunities that distinguish us as a leader in regional community healthcare. To better reflect the region to which our care is provided, we changed our name to MelroseWakefield Healthcare and developed a fresh, new visual identity, including new logos. Our new visual identity aligns us with the same fonts and colors as Tufts Medical Center to demonstrate our growing clinical collaboration. This new visual identity is complementary to the Tufts Medical Center identity, with the same fonts and colors, and demonstrates our growing clinical relationship and efforts to bring more advanced specialty services to our communities. We show that we are a member of Wellforce by using the “Proudly Wellforce” tag. 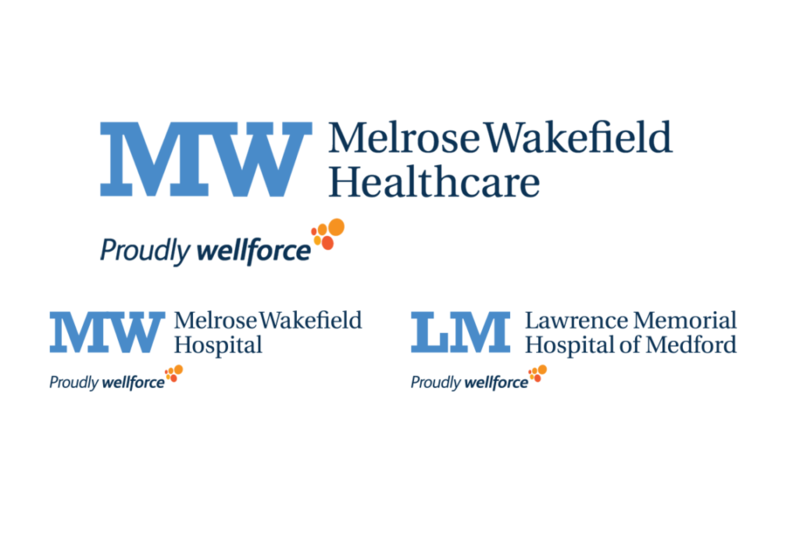 Our new MelroseWakefield Healthcare brand is designed to give our collective hospitals more prominence. The names of our local hospitals, Lawrence Memorial Hospital of Medford and MelroseWakefield Hospital, did not change. Each proudly displays its local name with its logo mark and by doing so more clearly communicates the hospital-based services we provide throughout our region of care. It is the result of a comprehensive process to understand what will set us apart in the market, which included research showing that patients greatly value their local relationships. Our new website features all our great services throughout our communities in a contemporary, user-friendly design that supports the growth of our brand and was recognized nationally in 2018 for outstanding design. We are excited about this symbol of the advancements we are bringing to community-based healthcare. In addition to the new MelroseWakefield Healthcare brand, our employed physician group, Hallmark Health Medical Associates, renamed its organization to Tufts Medical Center Community Care. The combination of the exceptional care offered by our providers with the Tufts Medical Center brand is making a strong statement in the market. This is an exciting new chapter for the organization as it continues to provide the best primary care and specialty services close to home for patients.